My education as an architect allows me to be involved in things as cool as being able to say that I work with the team that has patented the first machine in Spain that LITERALLY prints houses in reinforced concrete. Or that, when I meet with the rest of the team, I spend 2 to 3 hours passionately debating and learning a lot about how to change the world with new construction systems and architecture. It is much more complicated than just that, but, for today's matter, the example suits here. Every time I go to these team meetings, my head cannot help but think that the vast majority of things we talk about there, could (and perhaps should) be implemented soon in the way we understand the fashion industry, and more specifically, what benefits it could bring to it taking advantage and a better understanding of the concepts behind industry 4.0. 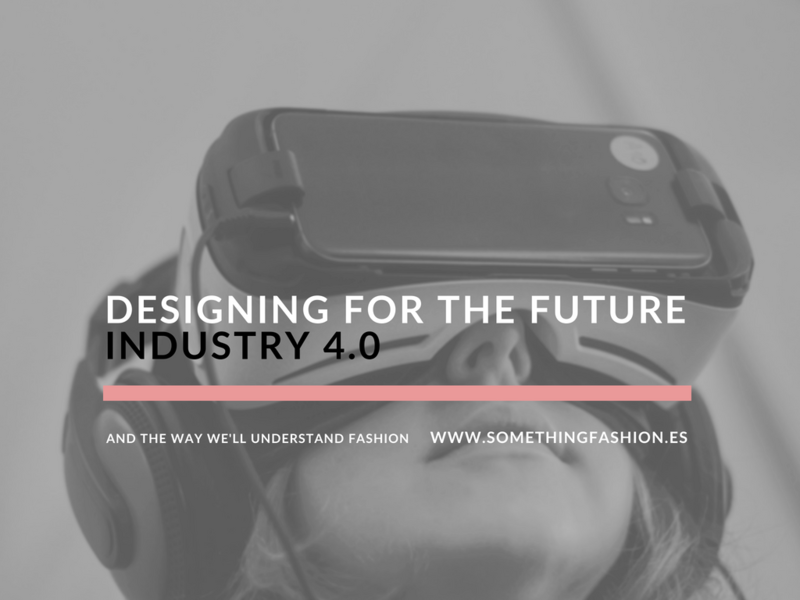 "According to various sources consulted, the industry 4.0 or fourth industrial revolution, is based on the Internet of things, the maker culture (or DIY culture) and the digital industry, among other things. It is not yet a consolidated reality, but it is a milestone where the massive use of the Internet and new technologies aim to generate smarter products that respect the environment, with better-communicated production chains, as well as better relationships with the market". And you will be wondering, what does fashion have to do with all this? Well, there are certain points that we are also researching to be able to apply the same philosophy to architecture, and in short, they could contribute a lot to create a 4.0 fashion adapted to our consumption needs, the care of the planet and environment and labor rights, among others. For me, fashion is not just about wearing beautiful or spectacular outfits, but it also serves to communicate and relate to the world we live in. 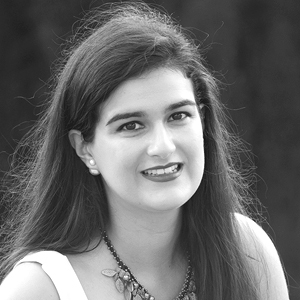 In my opinion, it is also necessary to use fashion both as a social and technological tool. I already wrote an article about how to design the future because I think it's a very interesting and wide topic! Almost every time I read articles related to the application of 4.0 industry and its technologies, related to almost any sector, I appreciate some alarm towards automation and the use of robotics to the detriment of humans and the elimination of jobs based on handwork. And I think this alarm has no basis. The automation of processes in any industry should be used to eliminate from the chain certain repetitive, heavy tasks that require a very specific degree of detail that can only be achieved with a machine. These tasks will end up by not needing humans to supervise them, and we will go to other steps of the production chain that, however, will always need a human brain and a certain manual work. For the fashion industry (as in architecture), the first stages of ideation of a product are key, as well as the attention to detail and joints, or the choice and combination of materials to work well with each other. And all this will continue to be accomplished by a person, as no machine can take this kind of decisions on its own. Video of Alexander McQueen's S/S 1999 where two robotic arms mainly used in the automotive industry to paint cars stain a white dress live on the catwalk. Each person has a unique body shape. I'm a short girl with wide hips, so every time I have to go buy some pants, I need to get a larger size so that the pants fit me, which always results in having to fix them because they are way too long. Now, imagine that a machine had my exact measurements and could adapt the design of those pants only for me, making small variations in the computerized pattern so that if my mother wanted to buy those exact same pants, the machine would only have to make specific changes while keeping the original design. That's what adaptability is about. Currently, there are already certain online stores and apps where you can enter your measurements and in the company, they create and adapt the pattern for you. However, I think that it is still not available to everyone, and that this concept has not yet been applied 100% in the fashion industry, since the results are still very expensive garments, with very little difference regarding quality, price and time of manufacture that we could obtain by going to the local tailor. Any profession that involves a creative process to craft anything is not simple. As an architect, I design spaces and places where other people will live or develop certain activities at a certain point. An industrial designer creates from zero or improves objects that might already exist to make them more functional. 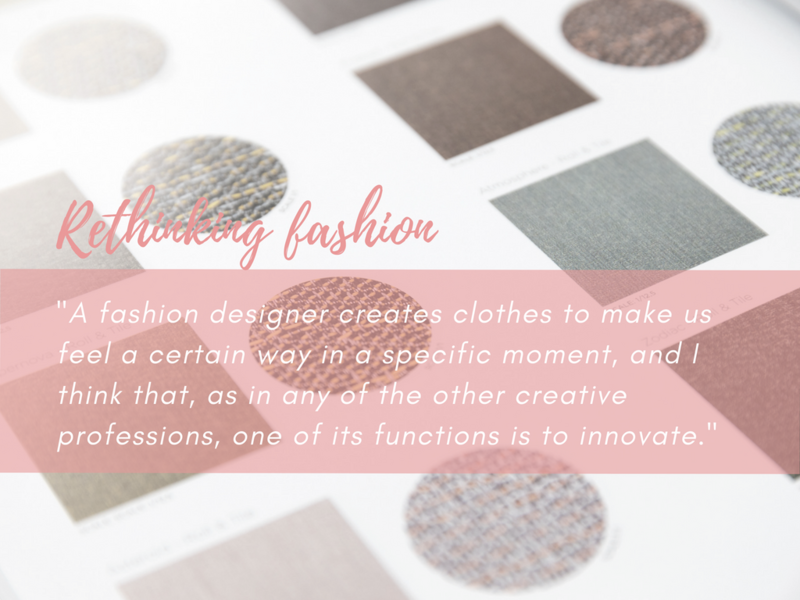 A fashion designer creates clothes to make us feel a certain way in a specific moment, and I think that, as in any of the other creative professions, one of its functions is to innovate. Rethinking fashion from digitalization implies things like using new technologies to obtain forms that could not be obtained by traditional skating methods, using already produced fabrics and elements by means of novel techniques, as well as thinking and adapting the entire manufacturing process to this digitization. The key is to design and produce the garments we'll wear in the future by using cohesive methods during all the steps of the design process. This is one of the characteristics of 4.0 Industry that I find most interesting because it is more related to the part talking about the market, offer and demand. It's more social, somehow, in comparison to other aspects that could be more technical because after all, the ones we talked about above are closely linked to the production chain. The use of things which may sound a bit strange in the field of fashion such as Big Data (which is the process of collecting large amounts of data and its immediate analysis to find hidden information, recurring patterns, new correlations, etc.) can be used to predict trends, know what products we are going to look for next season (and therefore, to program, or not, a greater production of these) or what amount of clothes and accessories we consume per year to, eventually in the future produce less clothes but with more quality. I really hope that this post didn't result in a too boring or complicated thing because I know it is a very specific field. However, as I have always said, from my point of view, fashion is everywhere and I felt the need to share and educate about this aspect of fashion which may be more unknown to the general public, but nevertheless, exciting. I would love to know what you think of this kind of educational posts at Something Fashion. This way, I can continue writing for you and share about the things that I love too! OH wow Amanda, you must feel so proud to be part of such a team ! Es interesante ver cómo todas tecnologías, queramos o no, efectivamente van a cambiar todo lo que conocemos hasta ahora.